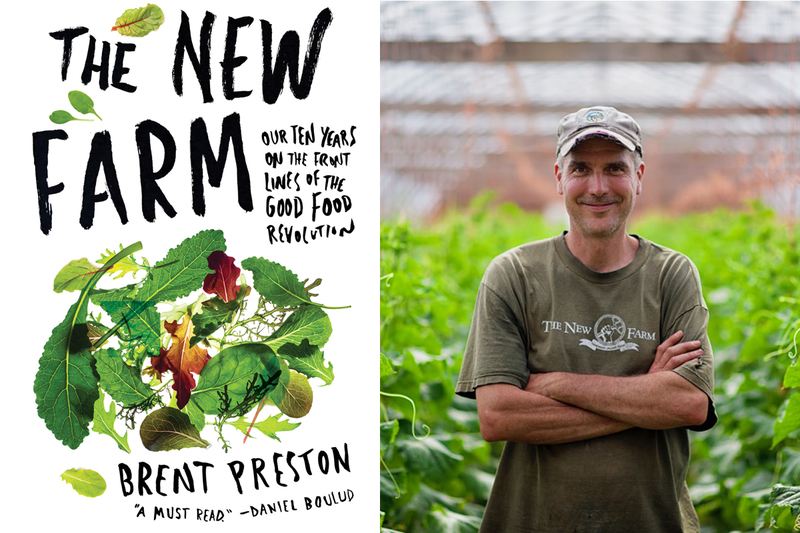 In his book ‘The New Farm,’ Preston shares his experience and wisdom for successful organic farming. In 2003, Brent Preston and his wife, Gillian Flies, packed up their two kids and moved to a rural town about 100 miles northwest of Toronto. Their initial aim was to live less chaotically and to raise some of their own food. But this morphed into a plan to make a living farming organically. The inevitable years of mistakes, false starts, financial hardship, emotional and physical exhaustion, scorn from local conventional farmers, perseverance and—at very long last—success, are documented with candor and humor in Preston’s book, The New Farm: Our Ten Years on the Front Lines of the Good Food Revolution, released in the U.S. earlier this year. Civil Eats talked to Preston about the lessons he and Flies learned from their first decade of rural experience, advice for other well-intentioned (and sometimes naïve) aspiring farmers, and what it might take to bridge the seemingly unbridgeable gap between conventional and organic farming. By the time your book ended, you had figured out how to make a decent living growing four crops—salad greens, heirloom potatoes, beets, and Japanese cucumbers. What’s happened since then? It has been two seasons since the book wrapped up, and two big things have changed. First, we built an on-farm event space and commercial kitchen, and that part of the farm has really taken off. 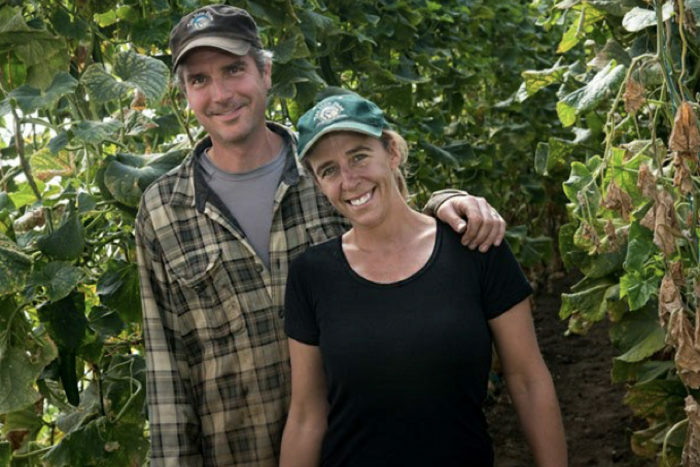 The appetite for people to do things—anything—on a farm just exploded in the last few years, and that means there are more and more people we can tell about our method of farming. Plus, it’s become a decent revenue stream. And second, our eyes have been opened up to the possibilities of regenerative agriculture. We are in the midst of a farmer-led research project run by an organization called the Ecological Farmers Association of Ontario. We’re conducting an on-farm trial this summer comparing the use of silage tarps as a means of killing salad stubble and suppressing weeds, as opposed to [tilling the soil]. It’s a challenge to reduce tillage in growing salad greens; they take three weeks from planting to harvest so there’s a lot of turnover, and they can’t have lot of residue. But we realized how damaging tillage is to the soil, and to the planet and climate on a larger scale. What has all this taught you about soil science more broadly? Sustainable farmers learned in the last decade that there’s an incredibly important symbiotic relationship between the plants that grow and the critters that live in the soil. 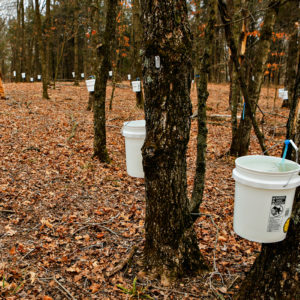 The science [shows] what a massive impact regenerative agriculture at scale could have on atmospheric carbon dioxide, [by] storing it as stable organic matter. On the flip side, Jonathan Lundgren in South Dakota has been doing amazing research showing that the healthier your soil is, and the more soil organic matter you have, the more profitable your farm is going to be. Soil microbiota excites some conventional farmers, too. Is this a topic of commonality, where the two “sides” can meet? I’m getting goosebumps as you’re saying it. In the over 12 years we’ve been farming organically, we’ve encountered active hostility from conventional farmers; but the regenerative techniques and science are coming out of both the organic and the conventional sectors. This is a huge opportunity to start bridging that gap. I was at a conference this winter, hearing about some regenerative techniques, and sitting next to a guy who had been a conventional grain farmer his whole life; he was interested in this stuff simply because he can’t afford inputs for conventional farming anymore. Another area [of commonality] is cover crops. I’ve read articles in The New York Times about conventional farmers using cover crops. There’s a depot down the road that sells [conventional] inputs and treated seeds; last year they put up a sign: “Ask us about cover crop seed.” I couldn’t have imagined that five years ago. There are larger ideas around regenerative agriculture that are rapidly creeping into the conversation, but it’s still early days. It’s going to take a lot of time for Cona [the conventional farmer from whom Preston bought his farm, who features prominently in the book] to come around. To make agriculture more sustainable, advocates say we have to keep existing farms in business, not just start new ones. Do you see ways to do this? This is a tough question, because it goes to the really big macro-economic problems with trade. The bottom line is that getting off the commodity bandwagon is important. A lot of farms that are failing are heavily invested in producing one or two commodities and when prices go down, there’s nothing they can do. [There needs to be] assistance for farmers to get out of big commodities and produce for local markets, or more sustainably, or to transition to regenerative techniques. It’s going to come from individual farmers figuring out that this model of producing commodities and taking whatever the market will give isn’t going to work anymore. You’re not competing against your [farming] neighbors but giant corporations in Argentina and China; you’re not going to win against them. Also, I talk about this in the book: We need to reduce our sole focus on production, because we produce too much food. There’s still an incredible demand for food with a story behind it, not just a commodity. Every year I think, “This is the year that demand [for my salad] slags off,” and every year, demand increases. How do we go about making good food more accessible everywhere? 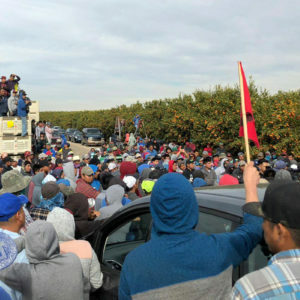 Shortening the supply chain is important; in the traditional supply chain, three or four people are getting paid: farmers, consolidators who pack [the produce], transporters, and brokers. If we sold into that kind of supply chain it would be way too expensive and no one would buy [our stuff]. Additionally, we have 18 acres of gardens, close to half in cover crops, and a certain scale is needed to serve the [five or six independent and medium-size markets] we sell directly to. They buy a lot of stuff, and consistency of supply is incredibly important—you have to have a whole season, no breaks. We deliver cut salads and cucumbers two times a week, get a good price, and because there’s no middleman, the [markets’ owners] can sell at a price that works for them. Are you seeing an uptick in traditional grocery stores that want local, organic produce? A lot of the produce in [the supermarkets we sell to] is imported from California or Mexico. It’s not because it’s what their clients want, or that it’s better quality, or cheaper, but it’s all they can get. All the supermarkets we sell to call us in spring to say, “We’re going to cut off California the moment you have salad ready.” These retailers respond to customer needs and demands, so if your local market is not carrying the local or organic food you want to buy, go talk to the produce manager. That makes a difference. Be an advocate for good food in your community. What’s your advice for new, young farmers who want to avoid some of the pitfalls you encountered when you started? There’s much more available in terms of formal training—lots of institutions of higher education offering degrees in sustainable agriculture. We also weren’t aware of apprenticeship and internship programs, where you take a season and work on someone else’s farm. It’s also important to recognize that growing food is not the only skill you need as a farmer. Lots of people do three, four, five seasons of unpaid internships because they think they need to learn growing. Then they don’t have the capital to start. But in farming, everyone is an owner/operator and a lot of the things we went through in the early years are the same as in any entrepreneurial business. I don’t understand why people think farming is different—maybe because traditionally, farms were passed down through generations and a lot of people were taking over established businesses that their parents or grandparents started. As that changes, with more and more new entrants coming from non-farming backgrounds, they must realize this is a business. A lot of people who are just starting to farm are young and idealistic, and think that being focused on money is distasteful. But the fact is, if you don’t make money, you can’t achieve all the other things you want to do. Photos courtesy of Brent Preston. These folks seem to be breaking it all down into little pieces so farming and providing local produce seems possible. I hope they can spread the word. 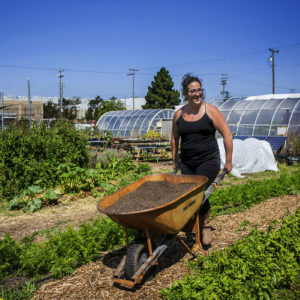 Small farms and farming communities would blossom everywhere if the land were freed from the grip of the land monopolists and big agribusinesses. We could do this by treating the land as the natural common right of all instead of a private commodity to be bought, sold and monopolized. There's a precise and simple way of going about this .It was proposed over a hundred years ago by the economist Henry George in his book Progress and Poverty. beautifully by growing their own food and building their own barns and houses. They do make some money on the side selling produce to the local townspeople. But money is not that important in their ability to prosper and flourish in a way that is wholesome and healthy for themselves and for the earth. My grandfather ran a sef-sufficient farm and was able to build his own home and barn and blacksmith shop where he made his own tools. He had 9 children to feed and the family prospered very well in spite of the Great Depression. Money was scarce, but it was not essential to the success of the farm. What is there to keep us from doing the same today?